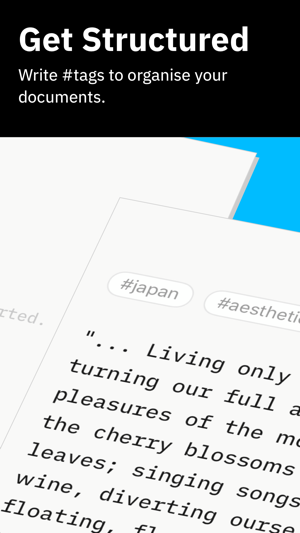 When we want to hunker down and type without distraction, one of our favourite resources is iA Writer. 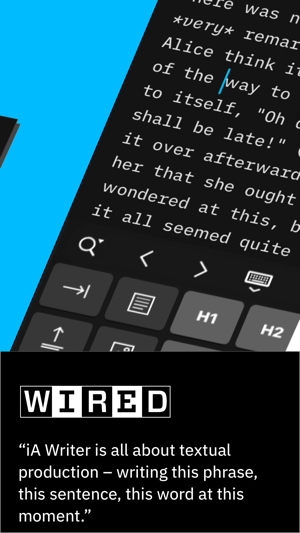 Substantially updated since its initial release, this writing app offers a customisable keyboard, selective text highlighting, iCloud sync and many other features we’ve come to depend on. 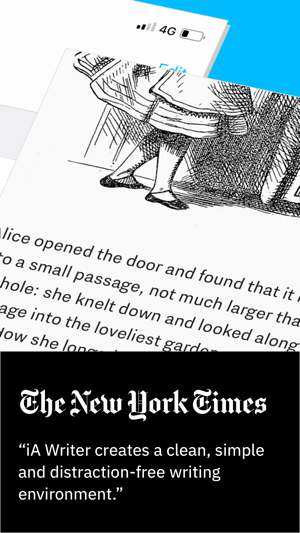 Plus, a streamlined interface lets you simply swipe left to preview a document and swipe right to access your library. 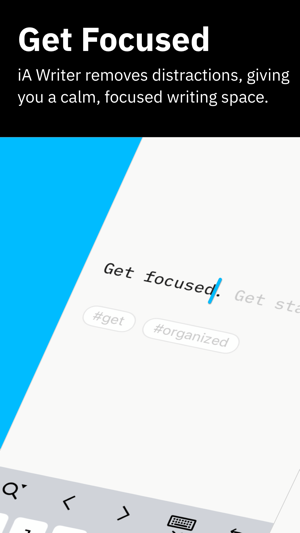 The entire experience is designed to be quick and easy so you can focus on your work. 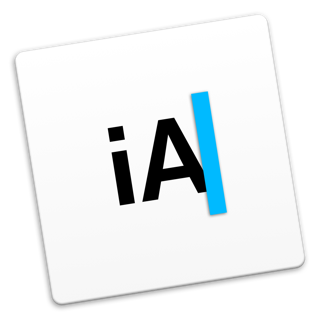 ia Writer has been through a long-term process of refinement and improvement, and it shows. This and the macOS application work really well together and have a pretty solid equivalence in the range of features, from typography and appearance to document management. 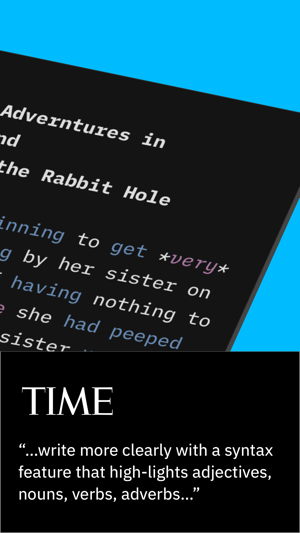 I’ve finally settled on this (as opposed to a number of other Markdown/text editors I’ve looked at) as my main writing tool. One of the reasons this works so well is that you can send documents to ia Writer, edit them, and have them synced back to the source applications (whether Files, DTTG, Working Copy, or any one of a whole set of storage providing applications on iOS). You’re not forced to keep things within it’s own silo, like most other editors seem to want you to - though it does provide a storage space in iCloud that syncs with the macOS version, when you need it. 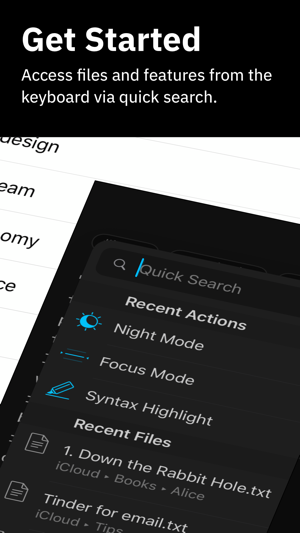 It’s good looking, well-integrated, minimal when it needs to be yet comprehensive and feature-packed when you need it to be. 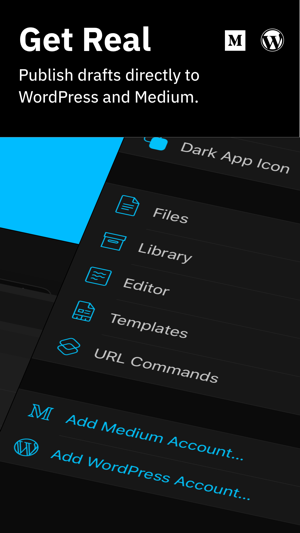 You can tell this application has a solid heritage and is the best distraction-free, plain text editors in the App Store. Highly recommended! Needs a few more effective features to be excellent. There's a lot to love about this app. It gets out of the way and allows you to focus. I like the feature that highlights the paragraph or sentence. It's also not subscription-based which is always something I avoid. 1. It has a dark mode, but I often like to write with a Solaris background (light beige) which is easier on the eyes during daytime. 2. I cannot manually change the order of the pages, which was annoying for me when I was transferring chapters from a short story today, and messed up the order. 3. One feature I like in another app is that the upper bar on the keyboard is scrollable with different short cuts. And one of the shortcuts is for speech marks. 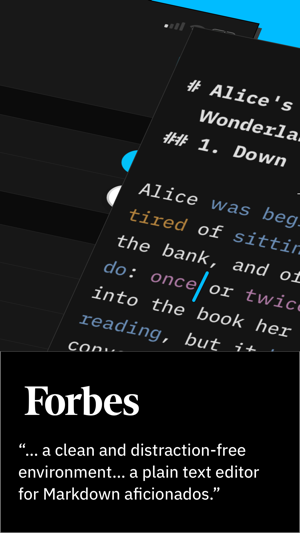 For a writer, that is incredibly convenient to be able to press a commonly used punctuation, with one touch, rather than 2, which can interfere with the flow of writing. One more that just occurred to me is a word writing target. I understand that this app does not want to include too many features, but I feel these all help flow, and focus. I hope these are brought soon in future updates. Thank you to the developers for their hard work. Update: it's good to know that almost all those features are due in a future update and so I have added a star to my score to represent the growth of the app and the developer's great response. Thank you for the feedback. 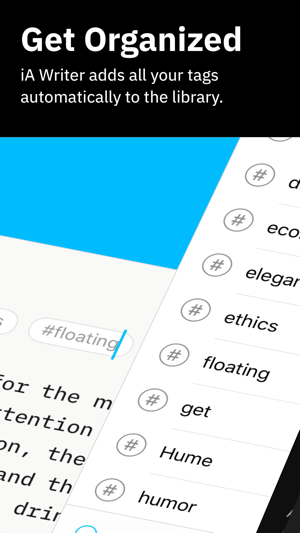 Manual sort of files in the Library, keyboard bar customization and word goals are all on our list of wants for the future too. We don't have current plans for more themes, but never say never.